Welcome home to this 4.62-acre estate with a 3,494 square foot home, detached 2,500 square foot building with studio apartment, two man made ponds one of which is stocked with brim and bass and swimming pool. The main home boasts four bedrooms 2.5 baths with large rooms and plenty of room to spread out. The garage was converted to living space through the years serving as a family room complete with half bath and wood burning fireplace that is stubbed for gas. The kitchen has painted cabinets, tiled countertops, newer appliances, double ovens, a bread oven, center island as well as a bar. There is a large Florida room that looks out to the acreage with large windows and skylights that flood this space with light. Updates and improvements are needed. The main house did have aluminum wiring although the family says updates were made with AlumiConn connectors permitted in 2018. There was a permit pulled in 2009 for 200-amp service. There are two HVAC units, deep well and septic. There are some drain field issues with the septic and need some minor update estimated at $2,500 to correct. The roof of the main house was replaced in 2004. The detached barn and studio apartment with renovation could be income producing. This living space has its own electric meter and septic system. The swimming pool needs a new liner and estimated to need additional repairs. This land requires a two-acre minimum to add additional housing or possibly divide. Buyer should check with Escambia County Zoning to verify this. This is an AS-IS sale with no repairs. Appointment is required as this home is occupied. Please be respectful to the family that resides here and schedule an appointment. The family will do its best to accommodate short notice showings. IDX information is provided exclusively for consumers’ personal and non-commercial use. It may not be used for any purpose other than to identify prospective properties consumers may be interested in purchasing. The data is deemed reliable but is not guaranteed accurate by the MLS. 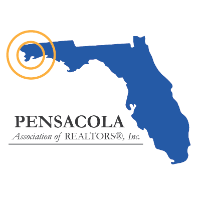 Copyright© 2019 by the Multiple Listing Service of the Pensacola Association of REALTORS® This information is believed to be accurate but is not guaranteed. Subject to verification by all parties. This data is copyrighted and may not be transmitted, re-transmitted, copied, framed, re-purposed, or altered in any way for any other site, individual and/or purpose without the express written permission of the Multiple Listing Service of the Pensacola Association of REALTORS®. Florida recognizes single and transaction agency relationships. Information Deemed Reliable But Not Guaranteed. Any use of search facilities of data on this site, other than by a consumer looking to purchase real estate, is prohibited.